A scene where Judge Thomas Brooke is furious that his son, James has played truant again and decides to enroll him in the army in British East India. A battle scene in Siniawan which is one of the early sites of many anti-piracy battles fought by James and his men. Lieutenant James Brooke leads his men into battle in the first Anglo-Burmese War, assaulting a Burmese stockade. A scene in the royal Astana where Pangiran Indera Mahkota, governor of Sarawak enquires of his courtiers, the state of piracy in the territory. 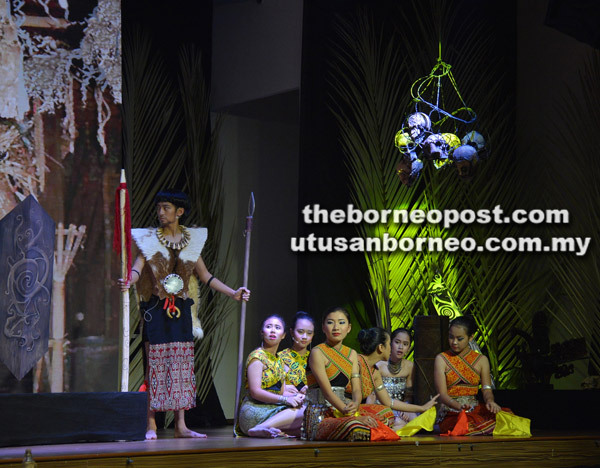 KUCHING: The St Joseph’s Family of Schools presented an original musical production ‘The White Rajah of Sarawak’ to a packed Archdiocesan Curia and Cathedral Parish Centre (ACCPC) Grand Hall in St Joseph’s Cathedral here last Friday evening. The first musical production featuring a large cast from St Joseph’s Private Primary and Secondary School and St Joseph’s International School was brilliant, witty and delightful. From script writing and choreography to musical composition, the audience enjoyed the best talent the schools had to offer. Overall, the talented cast delivered a wonderful and outstanding performance. The superb singing, excellent acting, colourful costumes, simple setting and well delivered humour made this a truly remarkable production that deserved a bigger and grander stage. 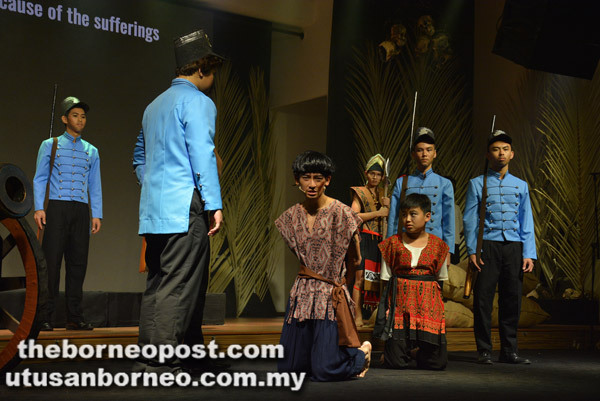 Balancing historical accuracy and artistic creativity, this musical chronicles the life journey of James Anthoni Brooke, an English adventurer who leaves the shores of his native Bath, England for the shores of Sarawak, an outpost of the Sultanate of Brunei. Together with his interpreter, James’ many adventures lead him to fall in love with the land and her people, ultimately becoming the first White Rajah of Sarawak and the start of the 100-year-old Brooke dynasty that continues to live on in the memory of Sarawakians today. The musical play, initially scheduled for Aug 4 and 5, was extended by another night on Aug 3 due to overwhelming response from the public. Three Sarawakian friends, goldsmith Lau Chek Kong, farmer Empawi Ak Entalang and cloth seller Haji Wahid bin Salleh had the audience in stitches. James defeats the pirates who plead for their lives to be spared. James and his entourage are accorded a lavish welcome by the folks of an Iban longhouse. Longhouse folk doing the ngajat. 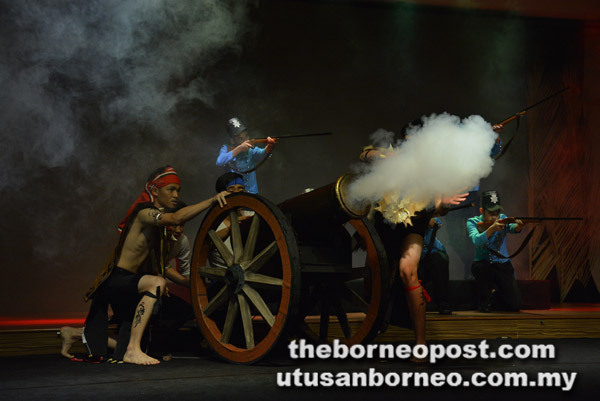 A dance depicting the diverse cultures in Sarawak.